If your exercise equipment is taking up too much space at home, consider a secure and protected self-storage solution from Affordable Family Storage. We offer climate-controlled self-storage options to ensure that your valuable exercise equipment is preserved properly, so it’ll be ready for action when you are. Refer to the Owner’s Manual for your each of your pieces of exercise equipment to ensure that any specific recommendations for storage are met. Gather together the manuals and any extra parts or accessories so they can be stored with the equipment. Clean the Equipment Carefully so that your exercise equipment will be ready to go when you bring them out of storage. Remember to oil any mechanical components of your equipment that require lubrication. Make sure that there is no moisture on any upholstered or leather parts of the equipment to prevent mold and mildew growth. Cover Exercise Equipment with canvas or other breathable fabric when in self-storage. It is best if the equipment is elevated on top of a heavy canvas or plastic tarp as well. This will prevent the accumulation of moisture, dust, and debris on your equipment, ensuring many years of use for your exercise gear. Store Heavy Weight Items on the Bottom when you are organizing your self-storage unit. 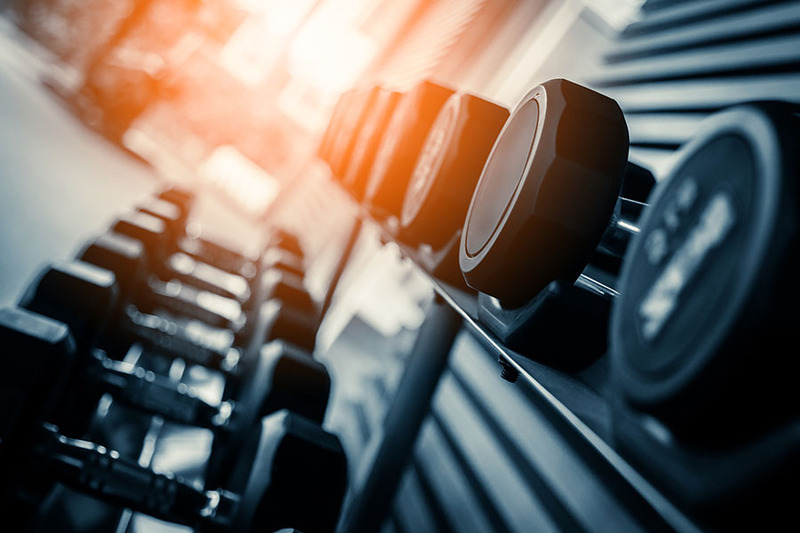 For the purposes of safe and secure storage, make sure that heavy items such as barbell weights, kettlebells, and medicine balls are securely stored on the ground or bottom shelf. When it comes to those heavy items, go low - gravity is your friend! Climate-Controlled Storage will preserve the condition of mechanical and electronic components in your exercise equipment. At Affordable Family Storage, our climate-controlled facilities will manage temperature, humidity, and dust, so you can rest assured that your valuable exercise equipment will be preserved properly. Advanced Security and Surveillance at Affordable Family Storage ensures that your equipment will be secure in self-storage. With gated and fenced facilities, 24-hour surveillance, and door lock alarms, your equipment will be protected at our facility. At Affordable Family Storage, the security and preservation of your valuable equipment is important to us. We offer the best in self-storage solutions for sensitive mechanical and electronic equipment. For more information about Affordable Family Storage facilities convenient to you, contact us or visit our website.